The Window Back metal restaurant chair is available in either a solid wood saddle seat or an upholstered fabric or vinyl seat. 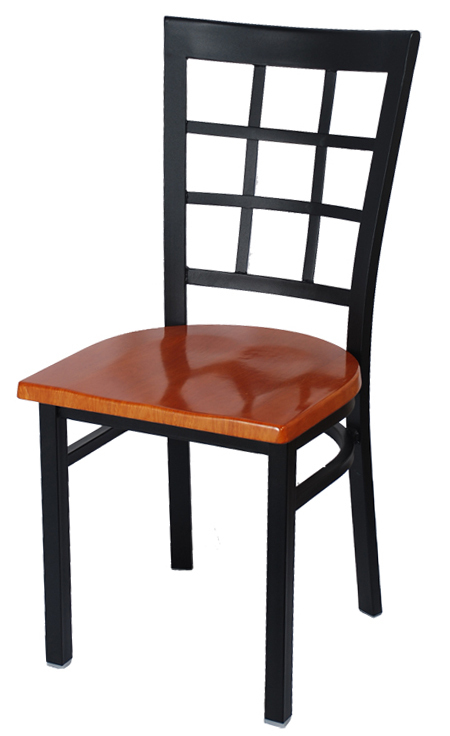 The chair is expertly constructed to withstand the heavy use common to the restaurant and hospitality industry. 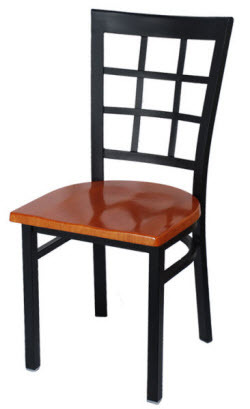 Unlike most companies which use a use ½” plywood seat, this commercial grade chair is constructed with 1" solid wood seat and a fully welded frame. The frame finish is powder coated and plastic gliders are also included. For additional information about other restaurant chairs please call (888) 998-4222. 17" W x 34" H x 20" D ; Seat Height: 18"